Attempting to make due without health insurance can be incredibly costly. 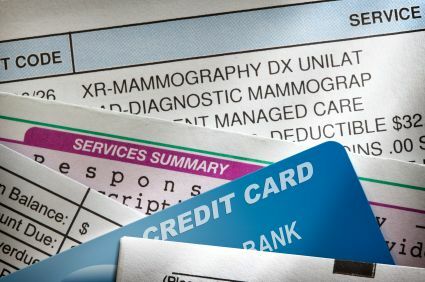 Even if you do have health insurance, you may find yourself in a position where you’re paying a ton of out-of-pocket deductibles and uncovered expenses. Either way, you’ll want to do your best to save as much money as possible. Do you absolutely need that new prescription medication or is your doctor assuming you probably won’t make a necessary lifestyle change? Ask. You may be surprised to find that losing some weight, changing your diet, or modifying some other aspect of your life might help you to avoid adding a costly medication to your arsenal. You may even be in a position where your doctor is willing to give you a month or two to attempt the changes before insisting you give the medications a try. Do you have a health insurance policy, self-purchased or through an employer, that covers your children? Many state governments have changed the income levels for children’s coverage via the state program and you don’t necessarily need to be below the poverty line to qualify. Check your state’s guidelines and see if you can have your children covered separately. Not all will do it, but some doctors will allow you to make payment arrangements. This may not save you money on your overall bill, but if it keeps you from putting your tab on a credit cards, you could save a significant amount in interest. If you don’t have coverage for medications, ask around or look for discount cards. They’re often given out for free and may save you a little money at the pharmacy, based on what discounts the groups handing them out are offering. Every penny counts. There’s really no reason for you to use a brand name drug unless there isn’t a generic or your doctor has a very specific reason. So ask your doctor if he can mark the “generic allowed” box on your rX sheet. This, combined with the discount programs a lot of pharmacies offer for generic drugs, can save you a ton, even if you have insurance. Is there a dental school in your area? Call and make an appointment to be seen in the clinic, but don’t wait until you have an emergency (there will probably be a wait). You’ll get good medical care from dental students (supervised, of course) at a fraction of the price you’d pay elsewhere. If your doctor has ordered a specific test, like a MRI, call around and ask about costs. You might find differences in the hundreds, or even thousands, from facility to facility. Even simple tests, like a swab for strep throat, may cost less at a local clinic (or pharmacy clinic) than in the ER or urgent care clinic. Consider whether or not you really have an emergency on your hands. Medical costs are high, especially in the US. Do your best to minimize your expenses by doing as much homework as humanly possible. Still not sure what to do? Visit smartasset.com to ask some professionals for additional advice; or seek some advice from an accountant. You won’t regret the savings.